Machine Quilting with Alex Anderson is a good companion book to Beautifully Quilted with Alex Anderson. (See my review.) In Beautifully Quilted, Anderson teaches the reader how to create quilt designs from scratch--which is very useful, although the designs she presents are much more easily suited to hand quilting, which is her first love. Machine Quilting deals with this issue, albeit briefly, with a short section on adapting hand quilting designs to machine--continuous line--quilting. As always, she begins with a brief description of equipment needs--partcular features that are helpful, although not strictly necessary, on a sewing machine; consideration of needles and some troubleshooting tips here; considerations for threads, marking tools, and gloves or other helps in free-motion quilting, pins, and basting. The next section is entitled "Preparing the Environment," and has a lot of really good information on ergonomics, lighting, and other things to keep in mind to set yourself up for better success. I wish I'd known some of this when I first started out--I learned some of it the hard way! 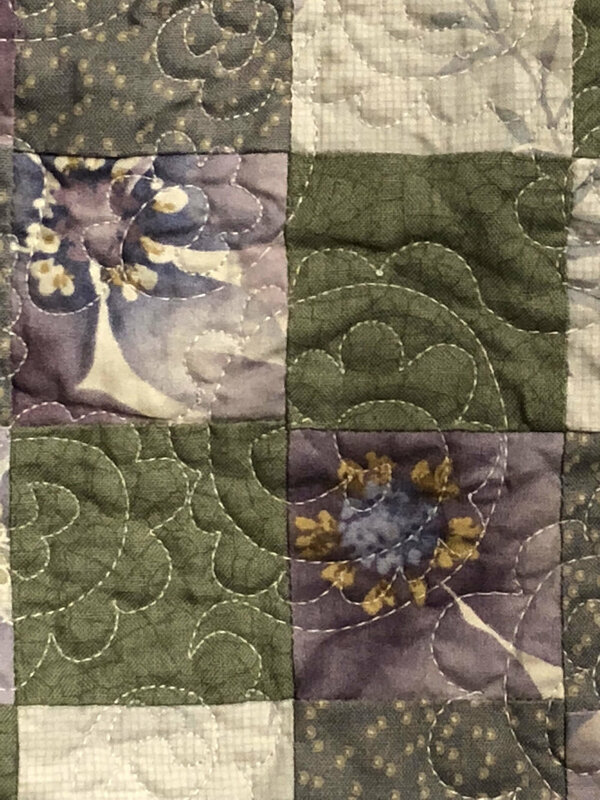 Following is a section on "Preparing the Quilt," which discusses marking, the adapting of designs for machine quilting, and basting. Next, there is a section entitled "Getting Started," which addresses machine tension, planning your stitching strategy as she terms it (what direction you're quilting in when), handling the quilt itself as you maneuver it through the machine, starting and stopping, anchoring your stitching line, and a short section on troubleshooting. Finally, there is a section addressing "Techniques and Practice Exercises" to get you rolling before you tackle a first project. The exercises take you through grids/straight line quilting, curves, echo quilting, following the fabric motif, stipples, and so forth. Then there are the requisite projects that all her books contain which help you practice what the book teaches. "Perfect Practice Placemats" give you a chance to practice every one of the techniques in a small and easily managed way. 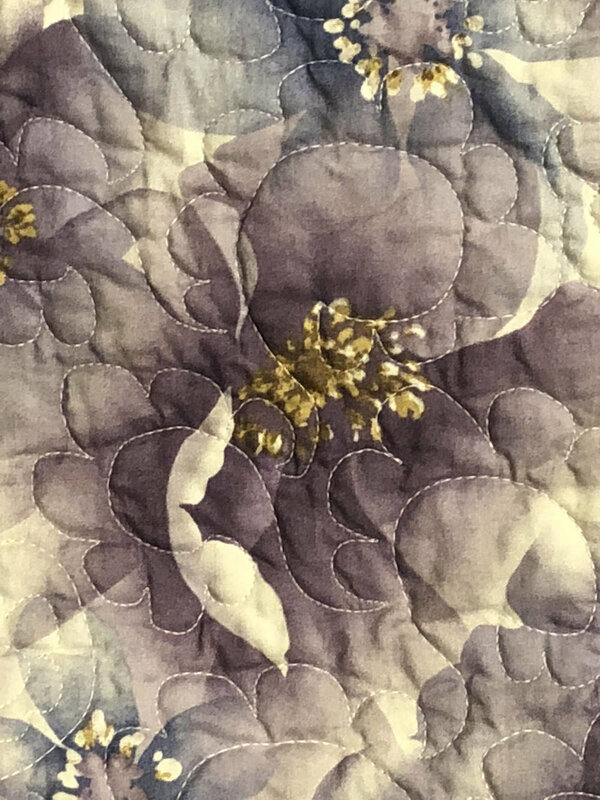 "Floral Fiesta" would be a quick quilt pattern to put together as the center section is simply a large-scale floral print that you then practice following with free-motion quilting. 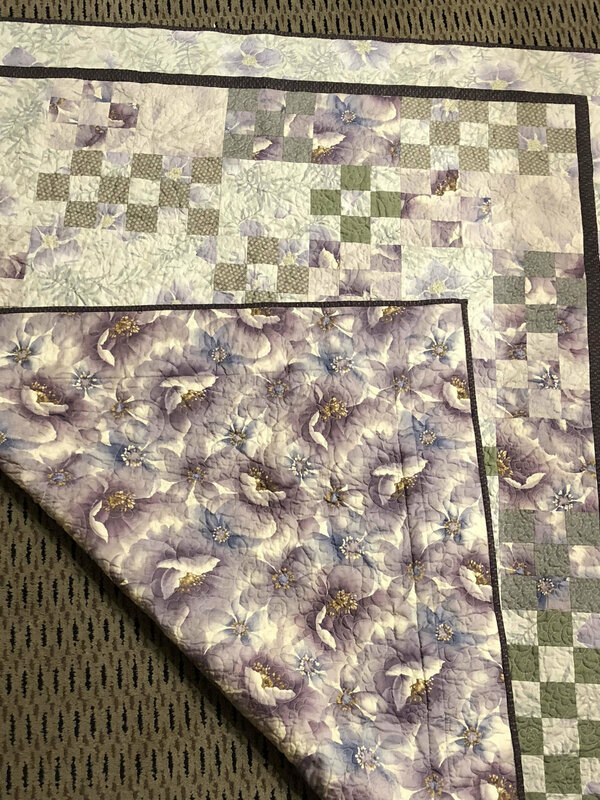 "All Geese A'Flying" is an adaptation of a flying geese block to give lots of room for grid and cable quilt patterns. "Scrappy Nine Patch" allows for more grid practice, but then the border is a cable which wraps around the corners, giving you the opportunity to practice measuring and connecting your border patterns. 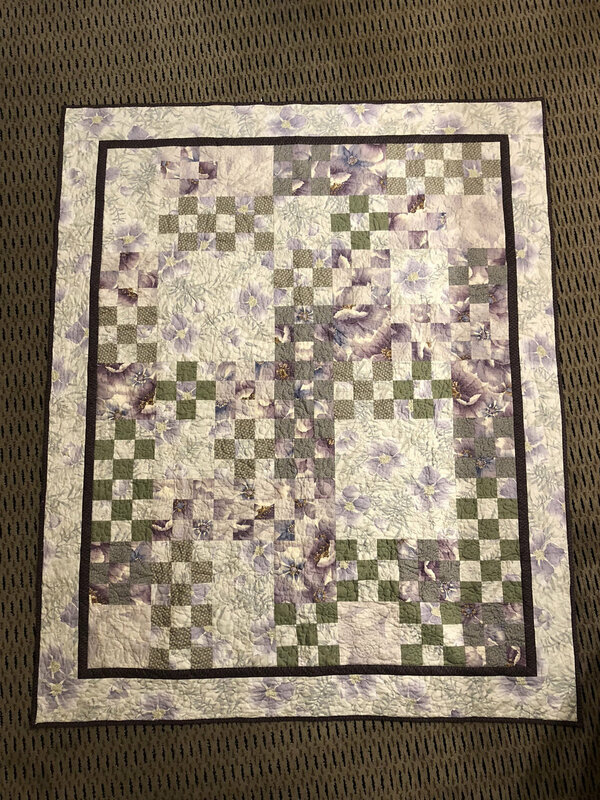 "'Round the Twist" gives large open spaces to practice motifs, and "Straight Furrows"--a log cabin setting--allows for free-motion straight line quilting. (I have more difficulty doing a straight line with free-motion than I do curves! )Finally, "Basket in Blue" is a wholecloth quilt which is a great final project to the book--wholecloth quilts make the quilting "the thing," so skill is important here. The book also has a brief section on quilt labels and recommended resources, plus pull-out paper patterns with quilt designs she has used in the book. This would be good for beginners to machine quilting--it takes you step-by-step through a process meant to build your confidence in this technique.